Matchbook was primarily a bookmaking site for online sports betting when it first launched in 2004. Since then it has exchanged hands, with new owners Triplebet Casinos taking control of the reins in 2011. The company completely revamped the site, refocusing its audience from Americans, who could no longer access it due to prohibitive US laws, to European and Asian players. It retained the sports book side, but added a stunning online casino and live casino to make Matchbook a gaming portal for all players. Matchbook Casino runs on the same proprietary software as the sportsbook side of the business. 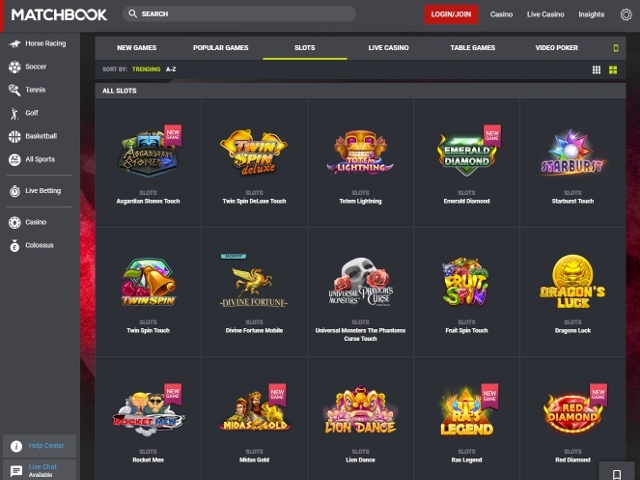 The casino section launched exclusively a NetEnt casino, and although it now offers games by other software providers such as Red Tiger Gaming, the majority of the offerings still belong to NetEnt. This is no bad thing, as NetEnt are industry experts with a huge catalogue of games and features to pick and choose. 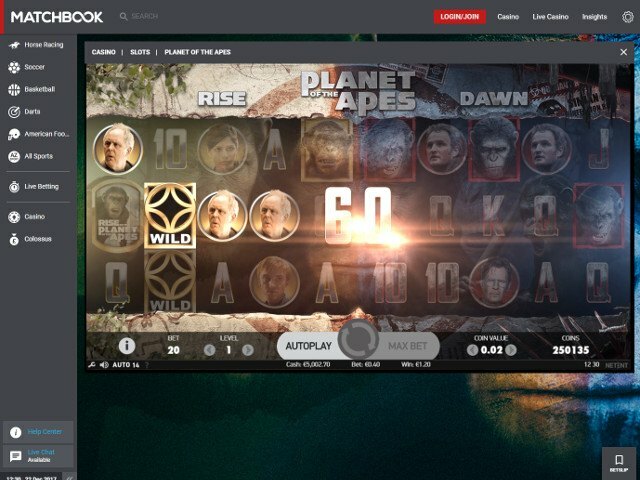 For the live casino, Matchbook have decided to use Evolution Gaming. Matchbook Casino uses a slate grey backdrop for its menus and games, which is stylish and easy on the eye. An ever-present vertical menu dominates the left hand side of the screen, which allows Matchbook Casino members to easily flip between the slots and the sportsbook sections of the website. Game titles and menu options stand out in white, while special icons are highlighted in red or yellow to separate them from the crowd. Instead of showing the game icons as a tile, all the game logos appear on the same slate grey backdrop, divided into a grid system. This creates a lot of space between the game options and makes it easier to look through them. Matchbook Casino features over 150 slot game titles, the majority of which are supplied by NetEnt. There is a smaller selection offered by Red Tiger Gaming. Clicking on a game’s icon takes players to the game’s dedicated page where they can find out more about it, including which company developed it, a brief synopsis of the story or plot and any special features within the game. Does Matchbook Offer Progressive Jackpot Slots? Matchbook Casino does not offer progressive jackpot games at the moment. However, it does have a live casino with over 20 games to try. 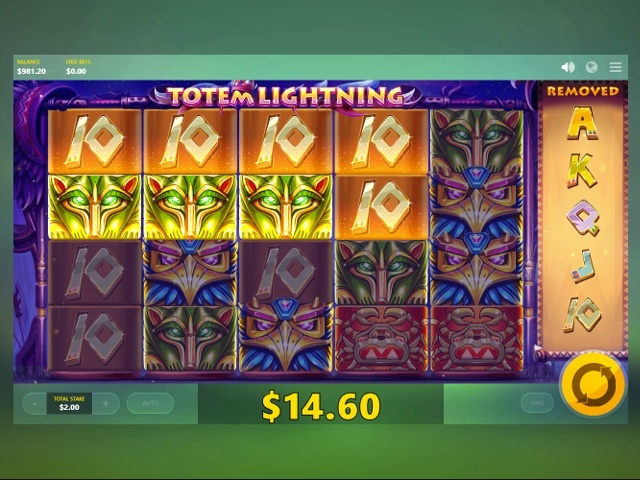 Can Players Demo Matchbook Slot Games for Free? 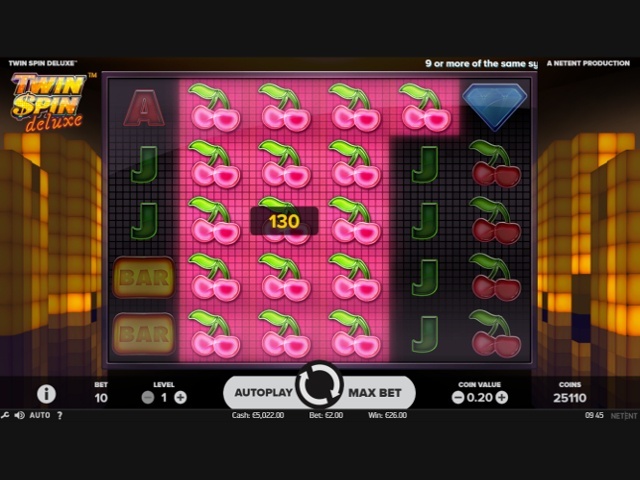 All of Matchbook Casino’s slot games come with two play modes – Play for Real or Play for Fun. When a player clicks through to the game page, Play for Real is highlighted by default, with the demo mode option found immediately under it. If a player starts a game in the free mode but then decides they would like to spend real money on it, they can simply switch between the modes back at the game information screen. Matchbook Casino offers its members several ways to fund their account, including VISA debit and credit cards, MasterCard and paysafecard. Players can also use eWallet services such as Neteller, Entropay and Skrill. Withdrawals cannot be made to MasterCard, but they can be made directly into a player’s bank account as long as the name on the bank account matches the name on the Matchbook Casino account. Matchbook Casino offers new members a generous welcome bonus of £500, split between three casino sections – slots, live dealer and table games. The slot deposit bonus is worth 100% up to £100 and the other two are both worth 50% up to £200. This is subject to wagering requirements of 40x, but online slots count 100% towards this. If you want to use Matchbook as a casino and a sportsbook, you can take advantage of the option for new members to earn a £500 commission refund the first five weeks of your membership. Matchbook Casino operates from Alderney with a license from both the Alderney Gambling Control Commission and UK Gambling Commission. Matchbook Casino has a comprehensive FAQ guide for both the sportsbook and casino sections. When you can't find an answer to your query there, Matchbook offers several ways to contact their customer service team. The simplest method is via the live chat on the website, which is open most of the day, from 9am until 3am. There is also additional support via email and telephone, with UK and international numbers.